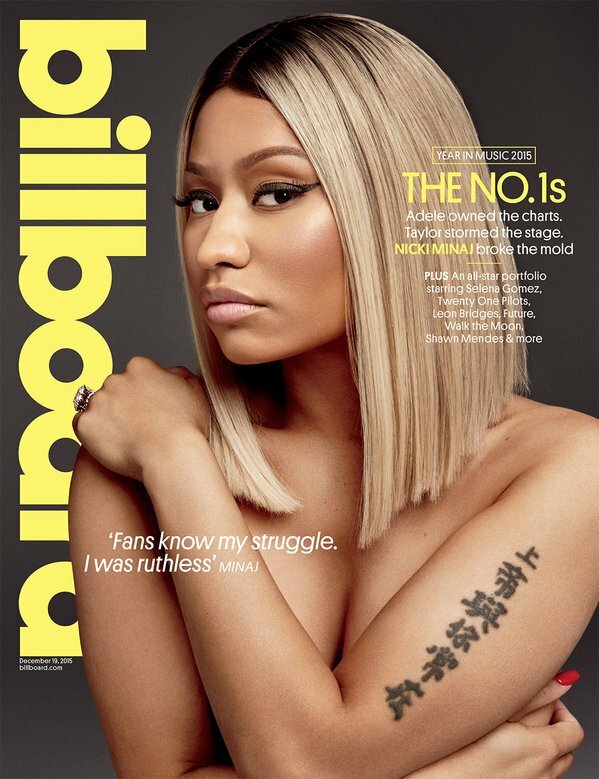 Nicki Minaj is the cover star of Billboard magazine December issue .She also dispels rumours she is engaged as she said Meek Mill promised to give her three diamond rings before the get engaged . You’re wearing a diamond on your ring finger. Yeah. Meek gave me that.